A Happy Healthy Mummy: Step away from the black leggings!!! I've got a LOT of gym clothes. There's countless capris, run tights, shorts and a skort taking up one drawer, then t-shirts, vests and other tops in another. There's also a pile of jackets, fleeces and long-sleeved options in the wardrobe for those colder months and specific underwear for specific activities in another cubby hole. And let's not even get started on footwear. And yet, there's a dominant colour in all of these. Black. Yes, because despite the occasional flash of blue and some hi-viz pink for biking exploits, there's a whole lotta black going on in my workout wardrobe. But it's something I wish I could change! And not least because when I get changed after working out I invariably put on - yes you've guessed it - BLACK!!! This is what happens when two stylish, over-achievers get together. Two close friends, two impressive career paths, lots of memories and now - one rather fab range of colourful leggings boasting two-way stretch, UV protection and breathability. Tiny Fish leggings come in capri or full length and are made from Italian Lycra and suit an array of sporting activities from yoga and dance to running and beyond. The leggings also offer muscle control and piling resistant technologies to keep your sporty look luxe for longer. Okay, shades on! Primavera Fitness was established by a British-born dance and yoga enthusiast of Brazilian heritage. These soft-to-the-touch designs have splashes of vibrant colours with a tropical twang. Inspired by the sun, sea and all things beautiful there's a full range of leggings, tops, a skirt, matching sets and even a jumpsuit! Expect performance enhancing fabrics such as Santa Constancia Supplex - a fabric which shapes the body with greater firmness, giving greater support during exercise. They even have a Samba teacher as an ambassador! If you can't quite cope with full-on colour and print - how about a half way house? 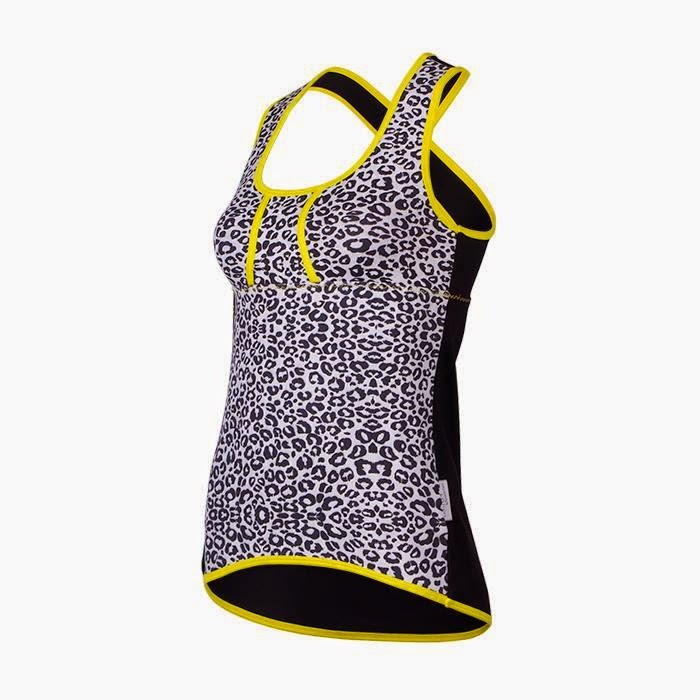 The latest collection from Botton teams bright splashes of yellow with leopard print (although if you're feeling bolder, check out the whole site and you'll find plenty of other colour-combos). 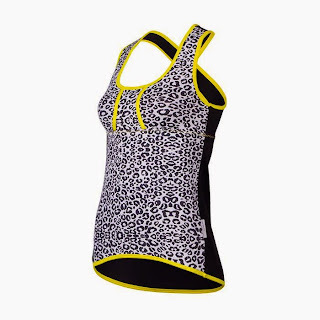 This range of fitness, Pilates, yoga, dance and lounge wear is designed by fitness pros and manufactured in Portugal. The collections are tailored for style, durability, comfort and use performance-enhancing fabrics such as Supplex dry fit technological fabric. Hands up if you go to the gym with attitude? If that's you then you probably should be wearing bold, outspoken apparel too. The Man.Up range has its background in military training and features tops, hoodies, bras, shorts and leggings and, it it's own words, is 'gym wear is for anyone that wants to work harder, push themselves further and get the gains they desire.' Expect and whole lotta neon and some seriously sassy slogans. In terms of back story, Bella Kinesis has the best. For each item of sportswear sold, the company fund a business education for a woman in rural India via the Mann Deshi foundation. It's what founders Roshni and Shaleena call 'strength for strength'. It's based on the principle that exercise makes women physically stronger, and leaves them feeling more confident and empowered. And customers of Bella Kinesis give this same feeling to other women by helping them start their own businesses - setting off a chain reaction that has the potential to influence attitudes on a global scale. 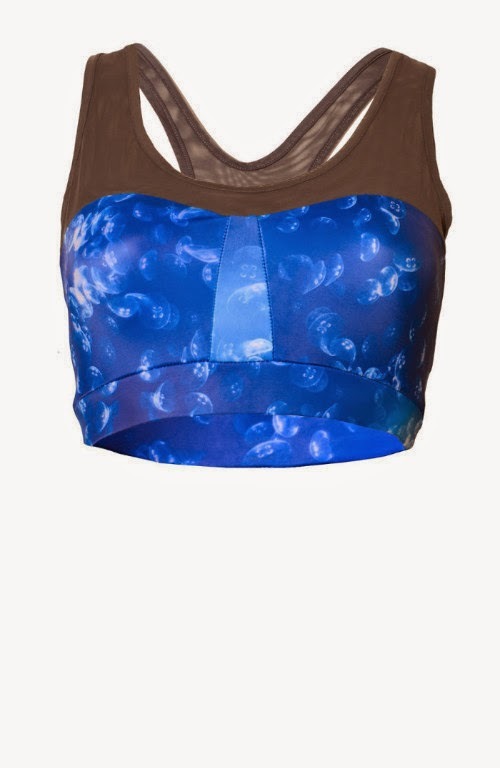 The girls' first collection features cobalt hues, their custom moon jelly print and mesh panelling. Using materials from Italy, France and Switzerland, the clothes are manufactured here in the UK. I hope I've inspired you to consider getting out of your workout wear comfort zone by introducing you to these new brands. Let me know if you're happier in bright hues or prefer the safety of black in the comment box below. Maybe you have some other brands you love? I'd welcome any other suggestions - after all - that shopping isn't going to do itself now is it?! I tend to opt for colours on top and black on the bottom! There is nothing like black to hide a few bulges, I find, though I agree we should try to be more colourful! The Tiny Fish leggings look good. Nicely written-Great information.Actualy nice fashionable dress thanks for sharing it with us.If you have time please also visit my gym vest page and let me know what you think.